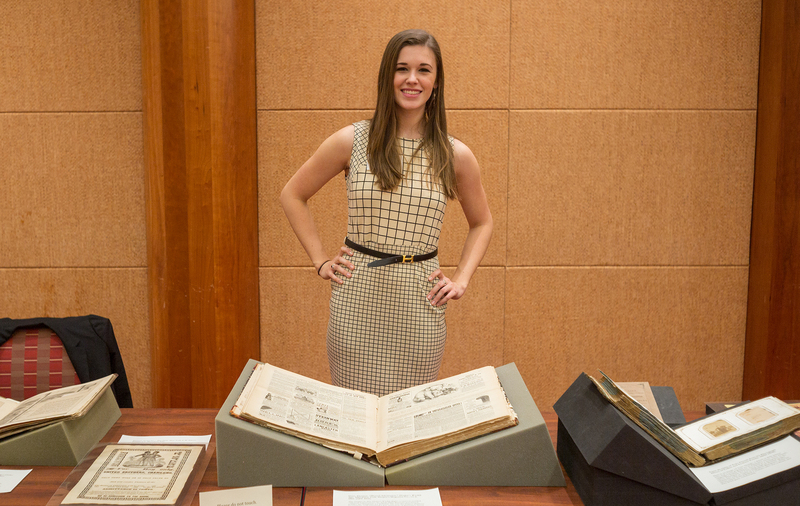 This is the first in a series of three posts, spotlighting the mini-exhibitions of students from USEM 1580: Researching History, Fall 2015. This semester marks the third time I have taught the University Seminar course Researching History. 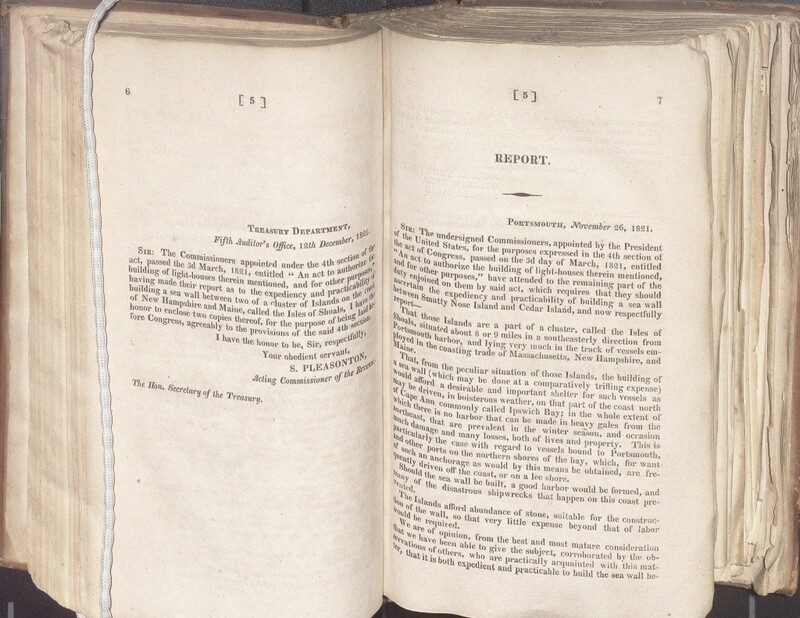 The course gives first- and second-year students the opportunity to immerse themselves in primary source research. During the class, my students had to navigate through the rich array of research materials held in the Albert and Shirley Small Special Collections Library and share what they learned in one-on-one sessions with their friends and family. Also, they each interviewed an author, who had used Special Collections materials to write his or her book. In their final projects, the students employed all of the skills that they had learned in the class to curate and present mini-exhibitions at their outreach program, Tales from Under Grounds III. U.Va’s new Provost Thomas C. Katsouleas even stopped by to see their impressive work. 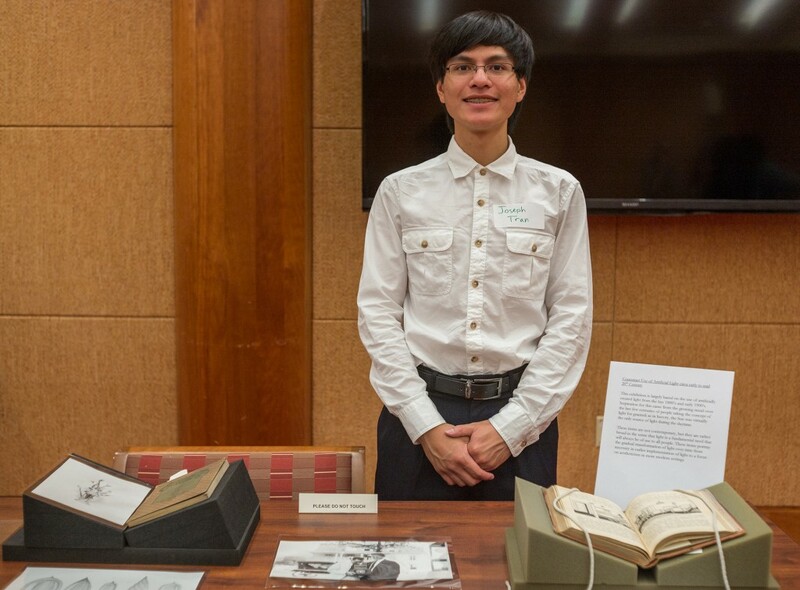 Students created their mini-exhibitions by illustrating a particular story with only seven special collections items of varying formats. For those who could not make it to Tales from Under Grounds III, I present to you the second best thing: Tales from Under Grounds III in its abridged version as captured in each student’s own words. Note: only three selections per student are shown. Photograph of Mary Grace Milam by Sanjay Suchak, November 17, 2015. The Barnum and Bailey Circus is one of the most famous circuses in history. It’s proprietor, Phineas Taylor Barnum initially created a museum holding the world’s first aquarium and featured the world’s human oddities and his famous hoaxes. 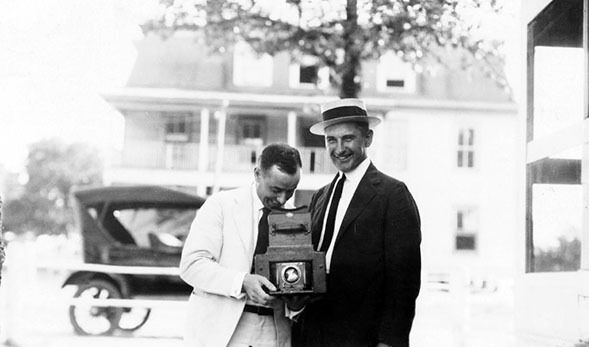 He later contracted with James Anthony Bailey to create the famous traveling circus. Some of the most notable attractions were Tom Thumb, Chang and Eng, the Siamese Twins, and Jumbo the Elephant. Most of these acts are no longer a part of any circus routine. 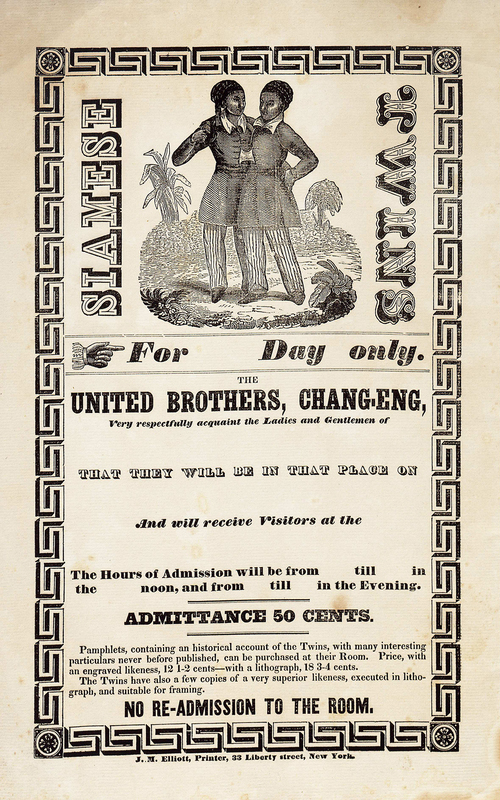 Slavery and racism were still prevalent in the 19th century, which shaped how the public accepted these acts. 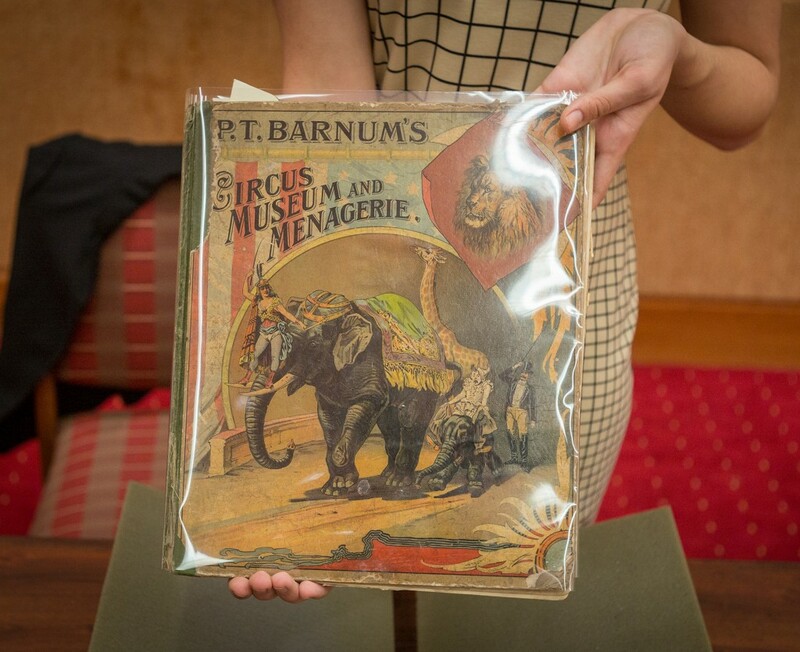 Barnum’s human acts were marketed as “freaks,” and exploited them for profit. However the success of the acts allowed some of the performers to end their circus careers quite wealthy. Barnum wrote, “Unless a man enters upon the vocation intended for him by nature, and best suited to his peculiar genius, he cannot succeed.” Was circus employment the designated vocation for these people? The acts were very lucrative for some performers, yet at the same time exploitative. 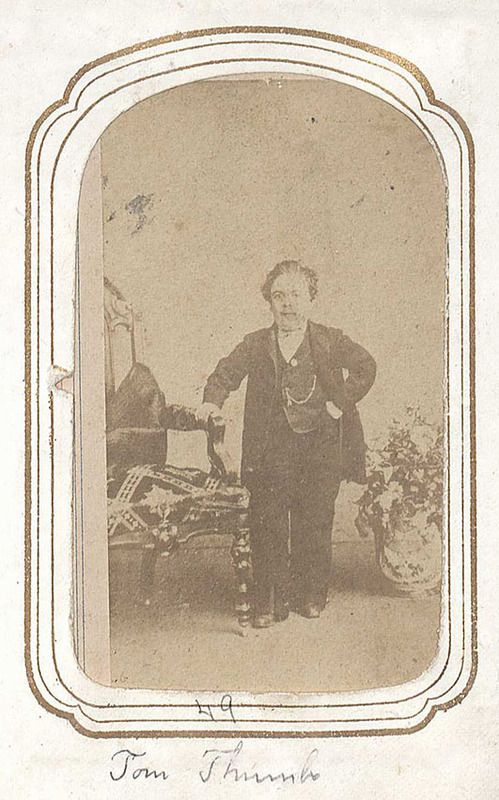 Carte de visite of Tom Thumb from the Photograph Album of Cullen and Graham Family. (MSS 14198). Siamese Twins for … Day Only. New York: J. M. Elliott, Printer, n.d. (Broadside 870). 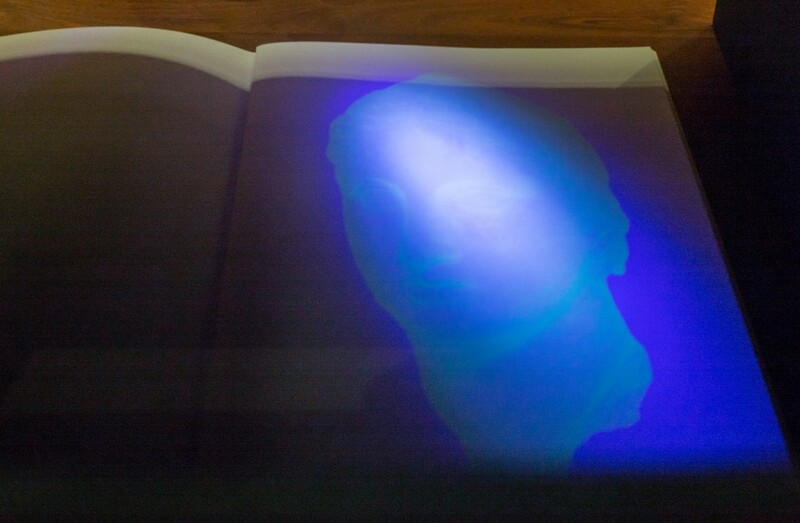 This exhibition is largely based on the use of artificially created light from the late 1800’s and early 1900’s. This time period was highlighted by the increasing use of light bulbs in virtually every setting to illuminate the darkness. The inspiration that founded this collection can be seen as the greatest light bulb of our time, the Sun. These items are not contemporary, but they are rather broad in the sense that light is a fundamental need that will always be of use to all people. They will portray the creative manipulation of light to change human perception. This entry was posted in Tales from Under Grounds and tagged artificial light, Barnum and Bailey Circus, Chang and Eng, circuses, Jackson Davis, Joseph Tran, Justin James Reed, lighthouses, Mary Grace Milam, Tom Thumb by Petrina Jackson. Bookmark the permalink.